I’ve just discovered Rachel Chesney via Naked Pastors blog and love the sound she creates … a strength which is quite vulnerable, if that makes any sense at all? I don’t really need to add anything to what the pastor says on his blog …. 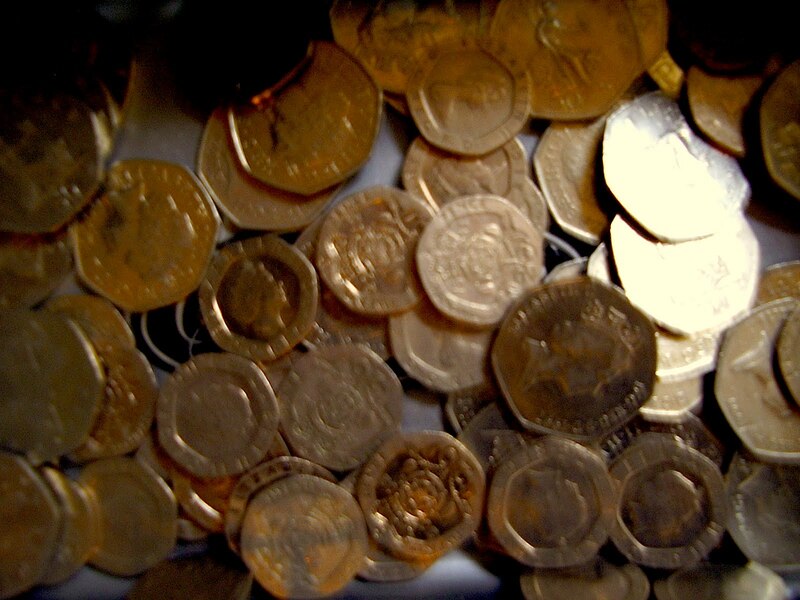 apart from echoing you could download this for free – but don’t…. please pay for it. 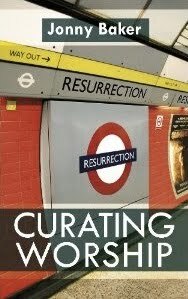 Along with many others I have been reading, and enjoying, Curating Worship by Jonny. I have particularly enjoyed reading it as it draws from many people who are involved, or rather live in, the world of creative worship and of re imagining church. I have been both excited and challenged as I have read this. It has caused me to start to think more deeply about the how and why we do the things we do at the gathering. Some parts of the book have resonated stronger than others; one in particular being that the art of (curating) worship has something to do with leaving space for people to discover the reality of God and how they can engage with whatever is being considered for themselves. I guess this counters the frustration I have with the style of church worship that I (we?) have grown up with where a person ‘in authority’ decides what a bible passage means and what we need to ‘go away with’ and then sets up activities or preaches a sermon so that we all arrive at the same place with the same conclusion. I am starting to feel everything needs to be a little more open, a little more permission giving so that we can really hear what it is that God wishes to share with us. I guess it has amazed me for the last few years that we speak of a ‘great big God’ and a God that do anything and is all powerful …. and yet we try to confine God and cause God to act in a way that we want God to act. If God is so big and so mighty why do we feel a need to control so that we all believe the same? Surely, if God is so big and great, then God can get the message across if we allow the space for God to do so? For this to happen, I wonder whether our worship needs to be more open ended rather than aiming to get people to a particular ‘point’. I think (hope!) that is what we are trying to do in the gathering. I think we are trying to allow people to discover God in their lives and where they are and so respond in a way that is meaningful to them. I think there is a desire that we plan to allow God to find us where we are. Sometimes this is confusing to explain and a lot of time we don’t get it … but I do think it is a healthy kind of confusion. 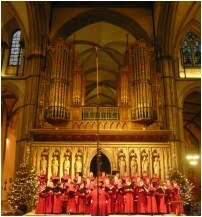 This evening at Choral Evensong (in which the boys and girls choirs sang amazingly!) I led a short meditation based on the reading of Luke 22, particularly developing the theme of Judas betraying Jesus. I did this quite late in the week and so it is quite ‘unrefined’ but people seemed to find it useful and so I am putting it ‘out there’ in case it maybe useful for others. What on earth did he think he was doing? what possessed him to do such a thing? to betray such a friend? Was he not there when Jesus walked on water! or when he fed the 5000? changed the water into wine? did he not know who Jesus was? is that the reason … was he possessed? to blow God’s plan off course? or was Judas just confused? Was he naively trying to help? deaf to the compassion of Jesus. have we never got frustrated with God? never tried to push God? to make God aware of our need for now? give us courage to tentatively wander in your creative bliss. I was interested to read this blog which I was pointed to by Scott and it makes interesting reading. It sums up for me a lot of what the cathedral does which is unseen which, I believe, is a good mark of Christianity – we do things not to be seen doing them, or for glory, but because we feel drawn or led to do them. I enjoyed reading this, but i think the writer misses one thing. He’s correct to say that this done at an excellent standard for very few people. I wonder if he misses that, actually, the good standard and the ‘excellence even in minuscule detail’ is because this is about worship. It does not matter who is or is not there, because God is and this is for God. Thanks Scott – it was good to read, and causes me to miss the place just a little bit more!